Ali al-Naimi reached his 21st year as Saudi Arabia’s petroleum minister, but it could be his last. Oil trading at 12-year lows is proving almost too painful for the kingdom and its close Gulf allies to bear. As the primary architect of a highly risky oil price war, the octogenarian Naimi can reasonably be blamed if it fails to deliver a knockout blow to rival producers such as Russia and upstart U.S. shale drillers. In many respects, the damage already has been done. The economies of Saudi Arabia and other OPEC member countries are hurting. The kingdom, for example, posted a record budget deficit last year. Even its currency peg to the U.S. dollar has come under pressure. 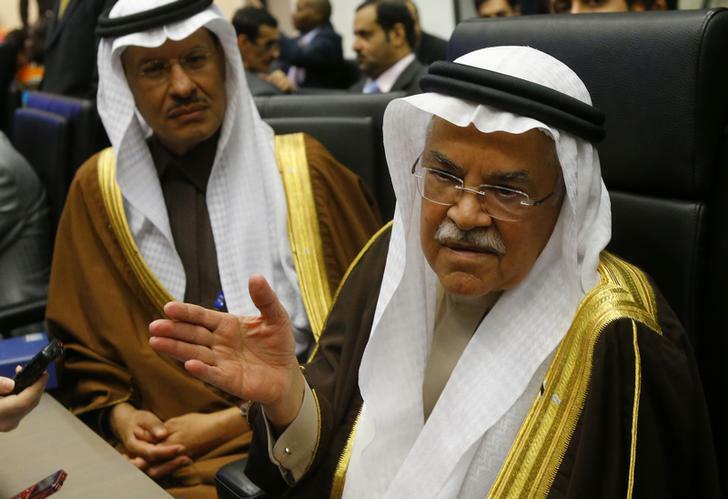 Some of the flaws in Naimi’s plan were laid bare by the International Energy Agency, when it warned this week that oil markets may “drown in oversupply” this year. This glut will swamp the 660,000 barrels OPEC forecasts will be slashed by higher-cost producers outside the cartel because of lower prices. If the estimates are correct, it would take a major cut by OPEC to restore the balance to world markets that Naimi desires. Any political objectives, if they played a part, of not defending the price of crude also have failed. Saudi’s great regional rival Iran is now free from the constraints of economic sanctions to open its oil pumps and perhaps extend its influence in the Middle East. Russia, a big competitor in the international oil market, is now meddling in the kingdom’s own backyard, in Syria. Meanwhile, the collapse in oil prices – normally a catalyst for growth – for now is mostly causing ructions globally. Saudi and its Gulf allies could burn through almost $500 billion of reserves if oil falls to $20 a barrel this year. Though his influence may have waned, Naimi remains a respected figure among the kingdom’s fickle rulers. The failed policy, however, may ultimately cost him his job. Saudi’s influence at OPEC might be diminished. A replacement, possibly Saudi Aramco Chairman Khalid al-Falih, would take time getting comfortable in the seat. For oil investors everywhere, Naimi’s absence could easily signal a change to the kingdom’s policy and make a wild oil market even wilder. Saudi Arabian Oil Minister Ali al-Naimi talks to journalists during a meeting of OPEC oil ministers in Vienna, Austria, December 4, 2015. The International Energy Agency said on Jan. 19 that oil markets could be oversupplied by as much as 1.5 million barrels per day in the first half of 2016 and warned that prices could go lower as more crude comes on-stream from Iran. Oil prices have tumbled by more than a fifth in January to 12-year lows below $28 per barrel. Crude is 72 percent below mid-2014 levels and traders are braced for more declines as world production keeps outpacing demand. The current oversupply was triggered in November 2014 when the Organization of the Petroleum Exporting Countries decided not to defend prices. Since then Saudi Arabia and the cartel’s largest producers have flooded the market with the crude causing a price war.